This is one of our tried and true recipes from our preschool program that is sure to please. Place all chopped fruit in a large bowl. Whisk together honey, lime juice and mint. 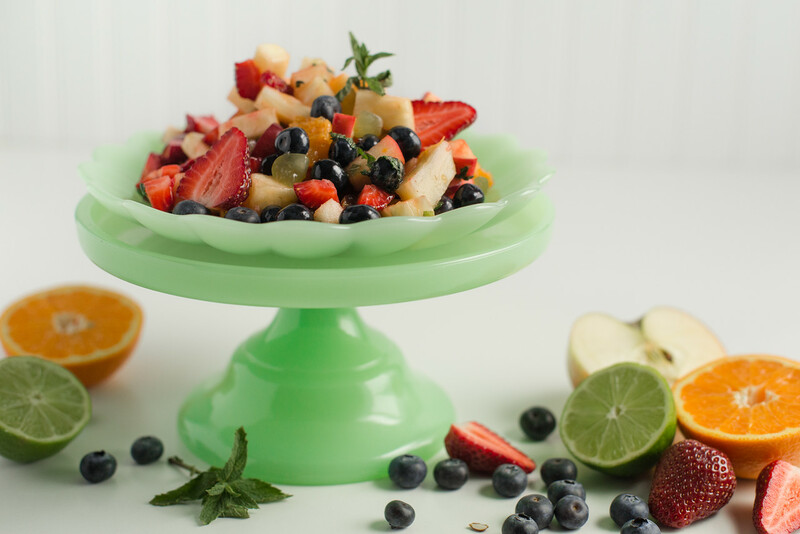 Toss into fruit and enjoy! Dice small pieces of this salad into tiny bites for new finger food eaters. Slightly over-ripe food will be easier to chew. Try rolling them in wheat germ or ground-up cereal to make it easier to pick up.